Congratulations! You’ve been engaged. Soon you’ll tie the knot with the most significant person in your life. So, with the big day around the corner, do you want to seal your love in a special way? 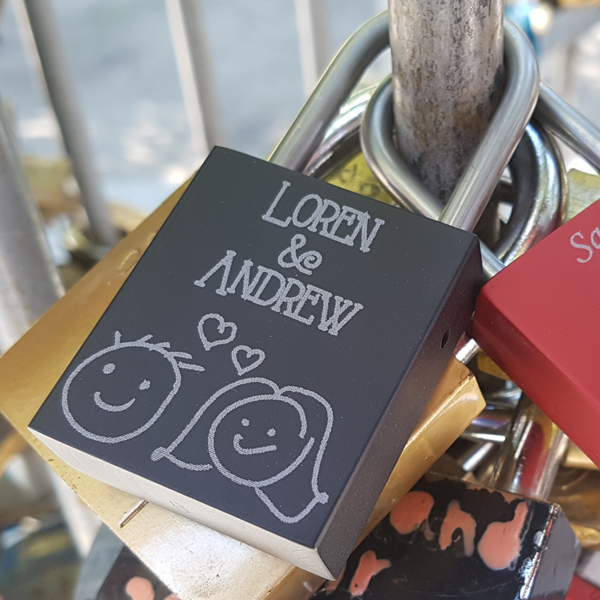 Here are fantastic engraved love padlocks by Love Lock Factory. Love padlocks are certainly the most renowned version of ‘locking your love’. 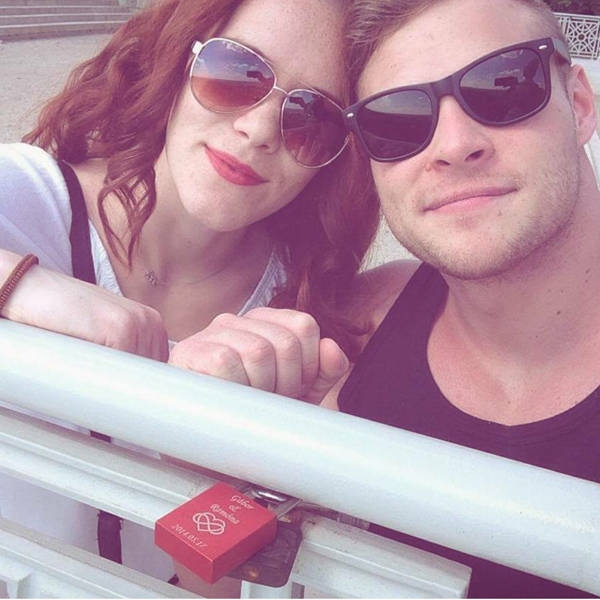 The tradition began around 20 years back and couples started locking the padlocks of various types including regular, customized with their names and decorated with all types of stuff to a gate or bridge, threw the key away and believed that their love would be locked forever. You’ll find these locks almost everywhere, but particularly in Europe and the US, but also in Chile, Russia, Taiwan and Guam. But the place most worth mentioning for locking love is the city of love, Paris! 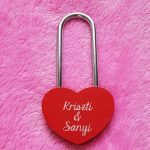 So, if you too want to lock your love, buy a beautiful padlock from Love Lock Factory and lock your love. You can see some of their beautiful pieces in this article and many more on their website. They have so many designs. 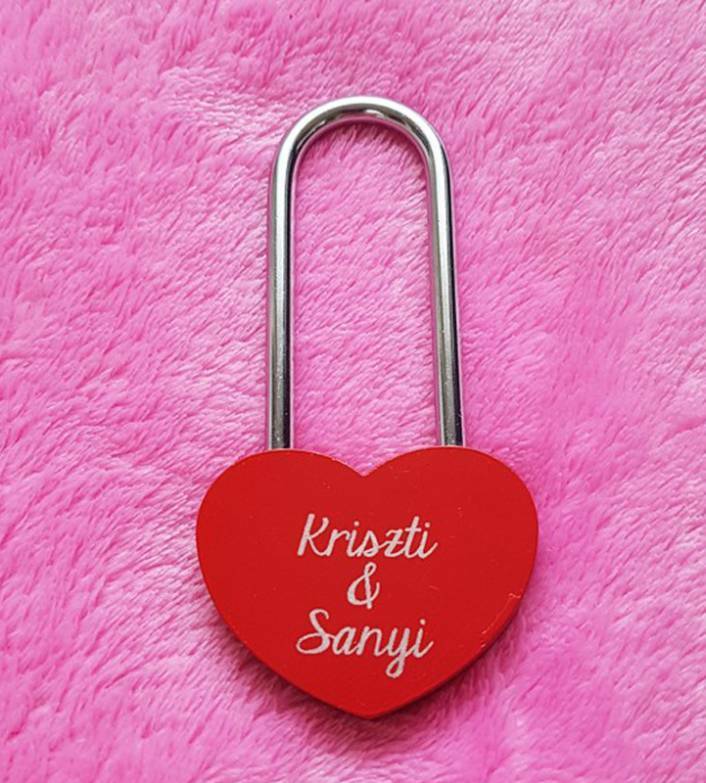 And you can design your own love padlock too and customize it with their online lock designer. Take a look at their beautiful accessories too like rings, bracelets, hip flasks and more. The origin of the tradition is not actually known to anyone. There are different theories, like some say that it originated in China, while some others say that it began in the WWI when a Serbian girl died due to heartbreak when her fiancé fell in love with another girl in Greece. To protect themselves from the same destiny, young Serbian girls started fixing padlocks on the bridge, where the lovers once met, to keep their love safe before their partners went to war. Another belief says that Frederico Moccia invented the tradition. Actually, he himself says that he invented it in his book “I want you” when Gin and Step lock their love on Rome’s Milvian Bridge. Well, there are plans in many cities to remove love padlocks and some already have removed them because it’s supposed that these bridges may collapse due to the weight of the locks. But you don’t need to shy away from this lovely tradition. Just instead of locking your love on a bridge or gate with hundreds and thousands of other locks where you are not sure when it will be removed or destroyed, why not lock it to a safe place like your own gate, fence, drawer knob or similar and throw away the key? This way the beautiful padlocks will always remain before your eyes. Lock your love and enjoy the feeling of love in your heart forever!